The 2011 This Place Matters Community Challenge concluded yesterday at 5pm. Official results will be posted on this website today at noon. This deficit could be erased if an even more extraordinary effort than has already been seen on behalf of OTR happens today before 5pm. Well, something extraordinary happened yesterday. The results have not been finalized so it’s not time to celebrate, but it is a good time to give thanks. 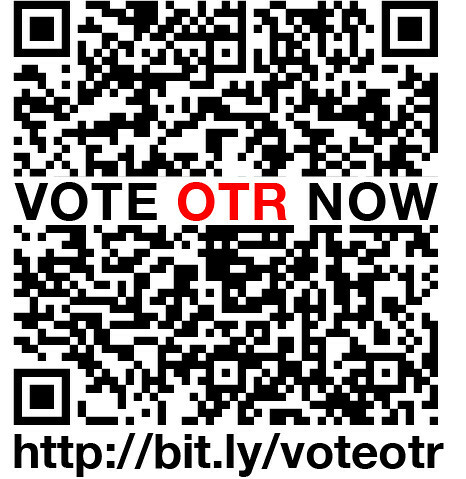 Nick Dewald for thinking of creating a website (and email addresses) for everyone who loves OTR. 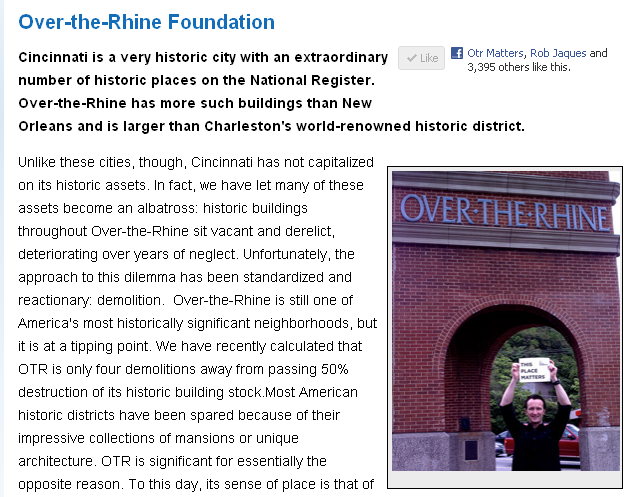 Soapbox Cincinnati for being a publication of which any Cincinnatian should be proud and for publishing this excellent article. Local TV media like Local 12’s video report and Fox 19’s interview with Sean Rhiney of the OTR Foundation (can’t find the link to it…but it’s out there). Of course, there are many more thanks to go around. I haven’t even mentioned the OTR Foundation or the organizational support in the form of email blast, fan page updates, etc. The outpouring of support has been awe-inspiring. Yesterday, after I wrote the blog post that chronicled OTR’s rapid fall from 1st place, I posted this video on the facebook profile from which I manage a few facebook pages. Thanks for coming through when OTR needed you most. Winners will be announced today at noon! So, do we know the results, yet???!!! They will be announced July 6 at 5pm. Wow, I lost track of this. So glad to hear you won! We don’t know yet, results will be announced by July 18.